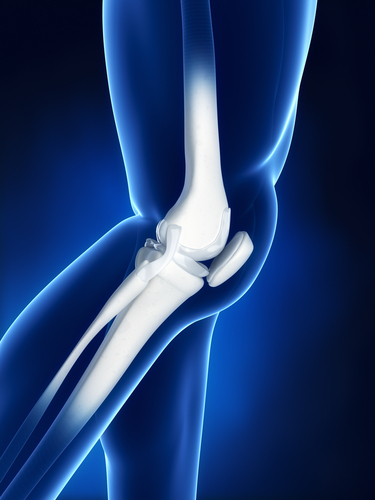 How Does Cryotherapy Improve ACL Surgery Recovery? One of the best ways to ensure that you make a speedy and full recovery after ACL surgery is to include cryotherapy as part of your rehabilitation plan. Cryotherapy is simply defined as the application of therapeutic cold to an injury. The effects of this therapeutic cold are many, and like other types of therapy, there are techniques you can employ to ensure that you get the most from your efforts. Pain reduction - When you apply cold to any part of your body, the nerve fibers in the area reduce their activity, which lessens your perception of pain, providing an analgesic effect. Cryotherapy also has the effect of reducing muscular activity, which also contributes to a reduction in pain. Swelling control - Swelling is a natural part of the inflammatory response that your body will go through after ACL surgery. Although a little swelling is normal, and in fact beneficial, too much swelling can impede the healing process and be uncomfortable for you. Cryotherapy reduces swelling by causing your blood vessels to alternate between dilation and constriction, removing the excess waste and fluid that contributes to swelling. Edema reduction - Vasoconstriction and vasodilation also contribute to edema reduction with the same pumping effect that helps control swelling. Faster healing - All of these factors combine to contribute to an overall faster healing process. Being in less pain will allow you to comfortably perform the exercises that your physical therapist recommends, and the healing effects of cryotherapy will help you get back on your feet faster. One way to employ cryotherapy is with the use of ice packs. Although this has been an effective method for decades, modern technology has made major strides that allow you to enhance the benefits of cryotherapy. One of the drawbacks of ice packs is that they heat up over time and become gradually less effective. New cryotherapy systems use an ice reservoir and a constantly circulating flow of cold water to provide a consistent application of therapeutic cold. In combination with specialized wraps that cover the entire area around the knee joint, you benefit from deeper-penetrating, longer-lasting cryotherapy. Adding active compression to cryotherapy enhances all of its benefits. Active pumping helps remove excess fluid while bringing even more fresh blood and fluid to the damaged tissues to stimulate faster healing. Game Ready uses patented technology to provide simultaneous active compression with the application of consistent therapeutic cold. Ask your doctor about using Game Ready after ACL surgery or find a provider near you. Have you tried cryotherapy for other injuries?